Why You Need This: The caliper is a great quick measurement tool and our electronic digital caliper is versatile and easy to use. It can quickly take external, internal and depth measurements of important engine parts that you many be working on. We use these all the time here at the shop when trying to figure things out. 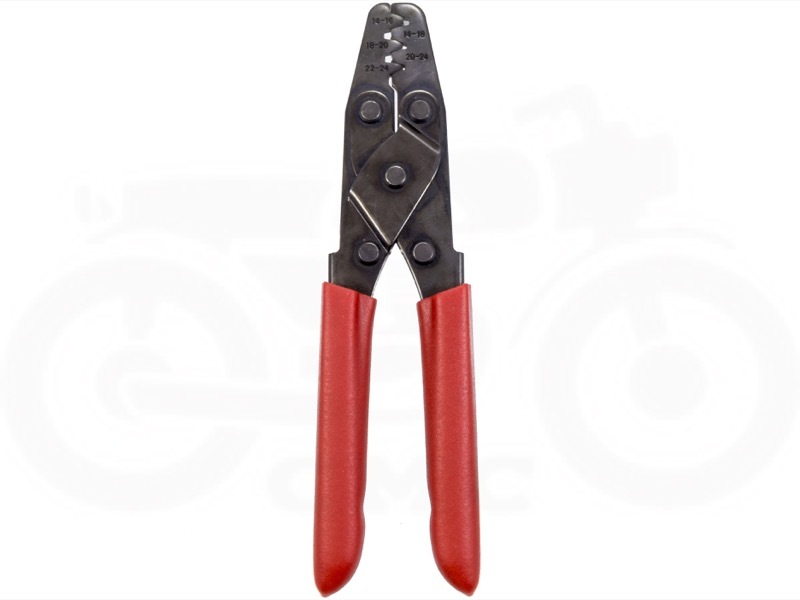 Made of stainless steel, the caliper has a maximum size range of 6 inches and comes in a plastic case for protection. 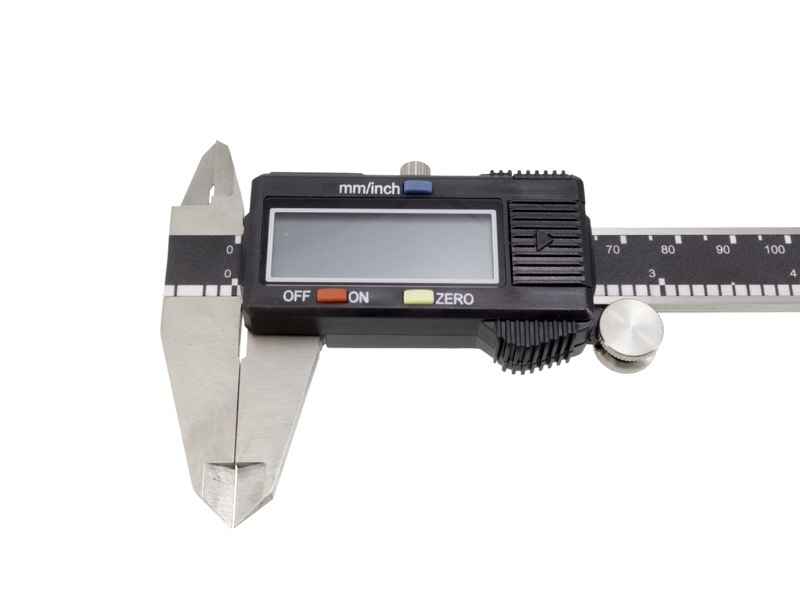 Since we are in the United States the majority of the precision measurement tools are set will be in inches (in gradations of 0.001" or thousandths of an inch), however this digital electronic caliper jumps back and fort between metric (millimeters) and SAE (inches) with a push of a button and has an accuracy to +/- .001" / .05mm. If you were to pick one precision measurement tool then this is it as it is quick and versatile, however in certain instances a micrometer is much more accurate, but the digital electronic will get you in the ball park. 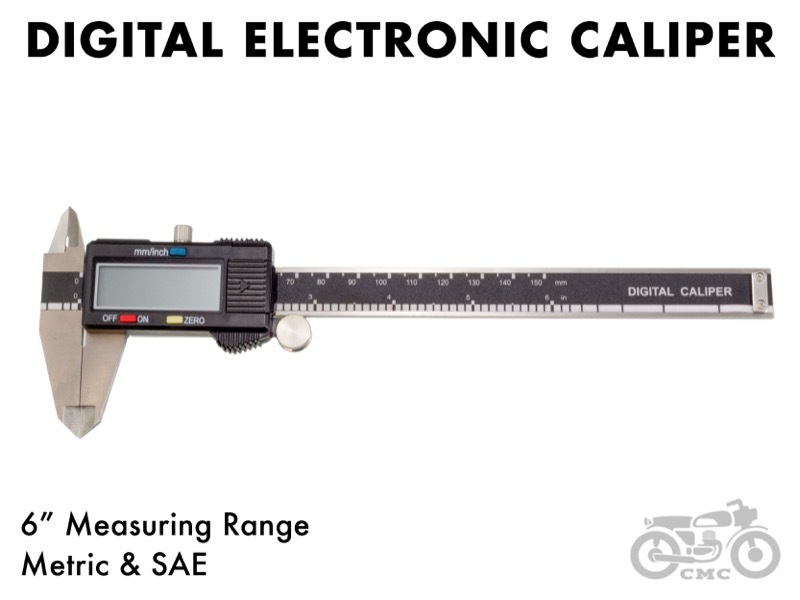 If you are building a custom engine for your vintage Honda CB350, CB360, CB450 or CB550 then this digital electronic caliper should be part of your tool box. Installation Tip:Use the caliper with gentile hands, too much force when measuring a part will cause in accurate measurements. Take several measurements on a part for consistency and accuracy. Make sure to zero out the caliper every time you use it.